Lighting corporate events, community celebrations and similar functions has become an increasingly important market, not just for rental houses and production companies, but for many DJ services as well. CHAUVET DJ is addressing this growing trend by launching its new Eve Series of fixtures. Offering many of the performance features found in full-scale production fixtures, the new series is designed to provide an affordable event lighting option to rental houses, DJs, dealers and others who want to reach the burgeoning event market. 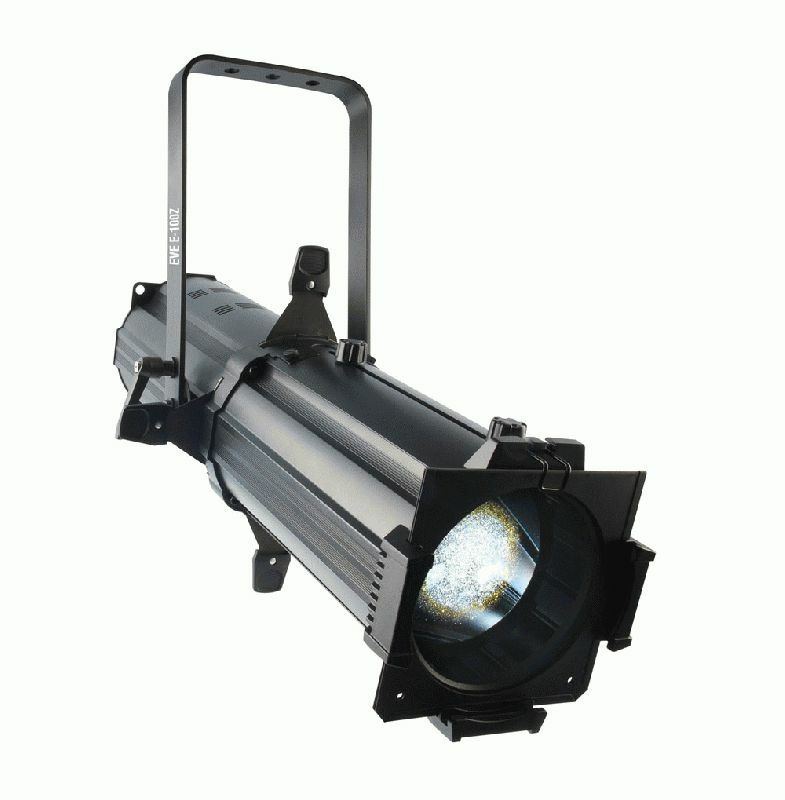 The Eve E-100Z ellipsoidal, the first product in the new Eve Series, is representative of this design strategy. A powerful warm white LED fixture with a 100W light source, the Eve E-100Z produces a crisp hard edge spot that’s powerful and bright enough for larger event venues, while still being compact. With a manual zoom angle of 14°-30⁰ and adjustable framing shutters, the fixture can easily move from covering wide to narrow areas to meet the varying demands of event lighting. The versatile Eve E-100Z includes gel frames and also features holders for glass and steel gobos, giving it the capacity to create a wide range of looks. Its flat even field of light results in gobos that are smooth and even end to end. Other features in the new Eve E-100Z include 1 or 3 DMX channels plus standalone operation, 3-pin XLR DMX connectors and power linking of up to nine units. Compact for easy set up at events, the fixture weights 12.6 lbs. (5.7 kg) and measures 24 x 7.2 x 16.9 inches (611 x 183 x 430 mm).